Understanding personal values of CEOs informs employees and investors about a company’s commitment to ethics and corporate social responsibility. In a paper titled “Relation between personal values of CEOs and their commitment to corporate social responsibility”, Professor Erhemjamts and her student Sarah Maher examined corporate social responsibility (CSR) ratings of S&P500 companies along with social capital of the states their CEOs grew up in. They found that firms with CEOs who grew up in high social capital states tend to exhibit greater commitment to community and employee relations, as well as higher overall CSR scores. 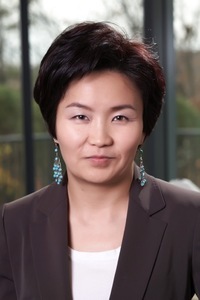 Otgontsetseg Erhemjamts is an Associate Professor of Finance at Bentley University. Her primary research interests are corporate social responsibility, corporate finance, and corporate governance topics. She has published in peer-reviewed academic journals including the Journal of Business Ethics; Journal of Banking and Finance; Journal of Money, Credit, and Banking; Journal of Financial Research; The Financial Review; and Journal of Risk & Insurance. She teaches graduate and undergraduate courses in investments, and equity research. Professor Erhemjamts holds a PhD in Finance from Georgia State University. Her student, Sarah Maher, graduated from Bentley University in May 2016, and works as a corporate debt origination analyst at BNP Paribas USA. Kelly Eisenhardt is Co-Founder and Managing Director at BlueCircle Advisors, an environmental compliance and sustainability consulting and training firm based in Massachusetts (www.bluecircleadvisors.com.) In her role at BlueCircle Advisors, she is responsible for providing business intelligence, strategy and implementation of environmental, social and governance (ESG) risk programs.